A wonderful recipe for celebrating a mother's love! Combine true stories with poignant poems, add simple wisdom blended with Scripture, mix in a dash of humor and a dollop of inspiration, and you have all the ingredients for a gift Mom will cherish. Covering every stage of motherhood, this exquisite book will nourish her soul and warm her heart! Hardcover with a presentation page. Combine true-life stories, mix in some classic and contemporary poems, add simple wisdom and reflections from God's Word, embellish with inspirational quotes and just a touch of humor, then present in an elegant two-color interior design, and what you have is this unique gift book, Blessed Among Women. The material is divided into six sections including "The Joy of a Baby" and "Letting Your Child Go," covering the various phases of motherhood. With heartfelt expressions of joy and gratitude and beautiful packaging, Blessed Among Women is the perfect way for sons, daughters, other family members, and friends to honor a woman on Mother's Day-or any day of the year. The dedication page provides space for gift givers to write their own personal tributes to a mother for her love and contributions in the lives of her children. 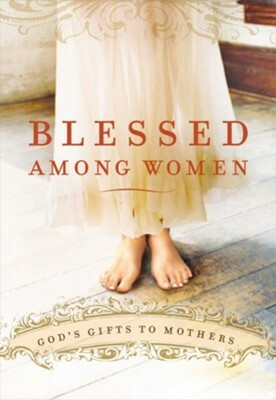 I'm the author/artist and I want to review Blessed Among Women: God's Gift of Motherhood - eBook.